Description: Darice Chenille Stems are wire based stems that have a bendable core that can be twisted into dolls, animals, ornaments and more. Bend and twist together, string beads onto or combine with other crafting materials to shape unique items. 6 mm 12 in. 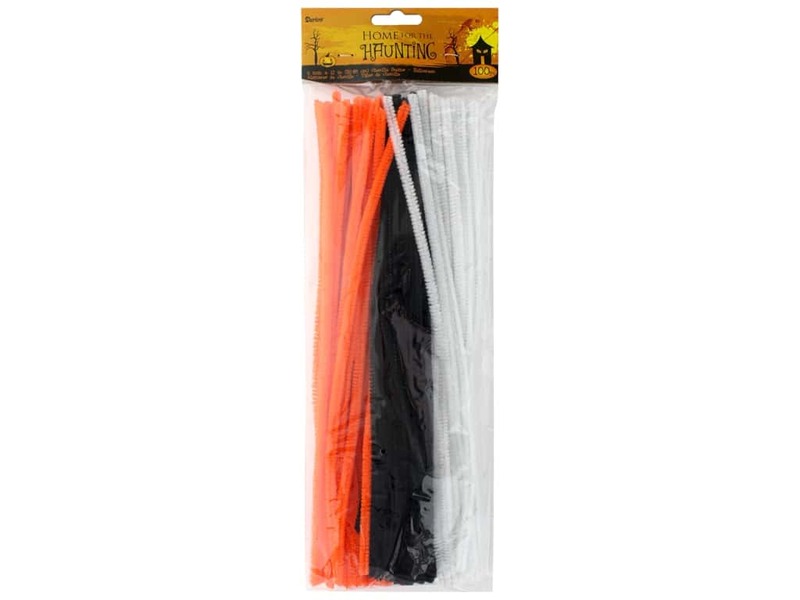 Halloween 100 pc- Colors include orange, black, and white.